1. 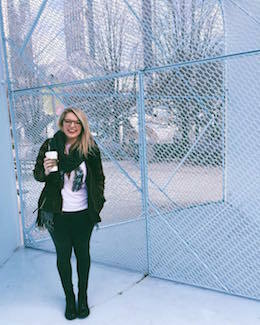 STATEMENT WALL :: I am in love with this wall covering! It is a great contrast to the bold colors and patterns that are prevalent for wall coverings in design today. The faded image brings such a great amount of depth to the space. 2. INDUSTRIAL ACCENTS :: The caged pendent light and use of the crate serving as a side table are two great industrial accents. Including these types of accessories give the room a bit of grittiness that adds to the charm of the space. 3. 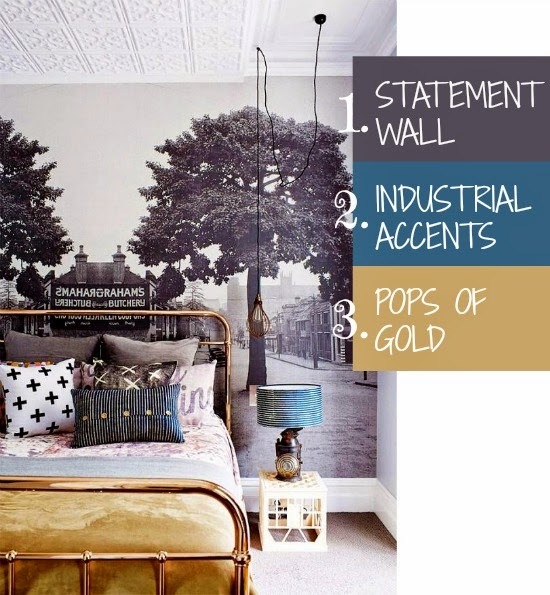 POPS OF GOLD :: Aged gold seems to be back in full swing in the most current interiors. The old fashioned, gold bed frame brings in a touch of shine that gives the spaces an added level of depth. Gold can also be seen through out the bedding and pillows. What would you change about your room? Do you find it to be a space of relaxation?